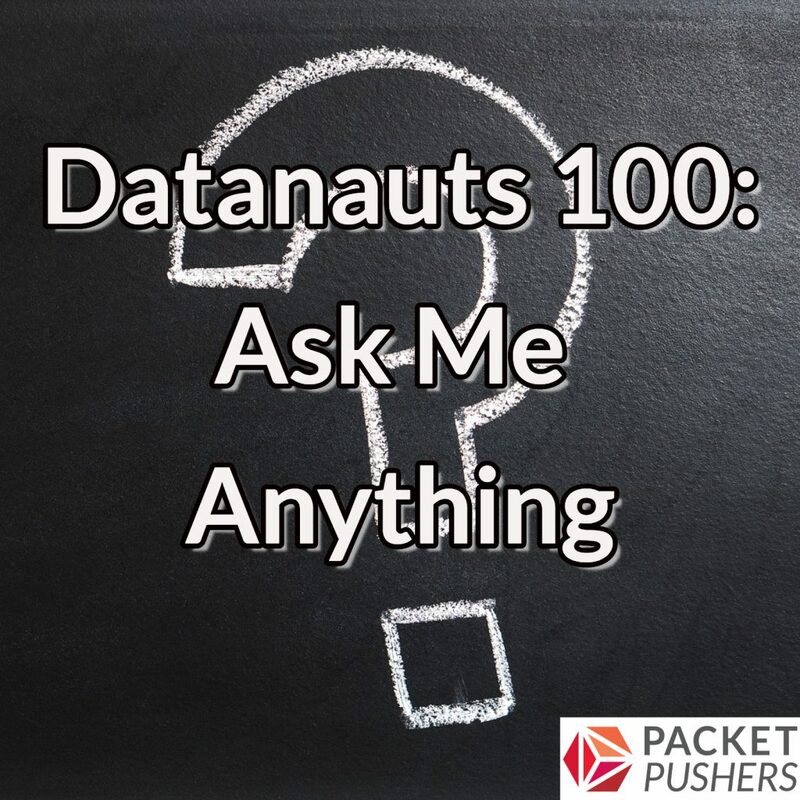 The Datanauts celebrate their 100th episode with an Ask Me Anything-style show. Chris Wahl and Ethan Banks answer questions about the future of object storage; VXLAN, VTEP and getting traffic out of the data center (nice to know people didn’t hold back); and how to become a full-stack engineer. Listeners also wanted to know what advice the hosts would give themselves if they could travel back in time to the start of their podcasting journeys, which episodes they’re most proud of, and unexpected or surprising things they’ve learned. Thanks to everyone who tuned in for the first hundred shows and offered encouragement, constructive criticism, and show ideas. Let us know what you want to hear in the next batch! ITProTV brings you the most current IT training with over 2,000 hours of content and more than 125 hours added weekly. ITProTV is the resource to keep you and your IT team’s skills up to date. Visit itpro.tv/datanauts​ ​and use code DATANAUTS30​ ​to get a FREE 7-day trial and 30% off a monthly membership for the lifetime of your active subscription. Great episode. You mentioned it briefly, but I’d like to recommend you guys do a show about distributed storage. Specifically, what are the new options for a shared storage between 2 database hosts. In the physical past database files used to be stored on a SAN or DAS with connections to one or more database hosts for high availability. What are the options today with database engines running on virtual machines but the data still on physical SAN or DAS. From what I’ve seen DBAs and server admins are porting the old physical deployments and virtualizing them without much thought orconsideration. Or am I being too critical?